Screen shot from footage showing a Tatarstan Airlines Boeing 737 nosediving seconds before crashing at Kazan Airport, central Russia. Shocking security cam footage showing a Tatarstan Airlines Boeing 737’s nosedive has been released. The reason for the crash that claimed 50 lives remains unknown, although technical malfunction and pilot error are the leading theories. The footage shows just how futile any efforts at rectifying the situation must have been in those final moments. The plane is seen to be falling vertically out of the sky before exploding on the runway. “We will not land” were the last words that chief pilot Rustem Salikhov told an air traffic controller at the airport. "The plane simply fell. It went vertically into the ground. 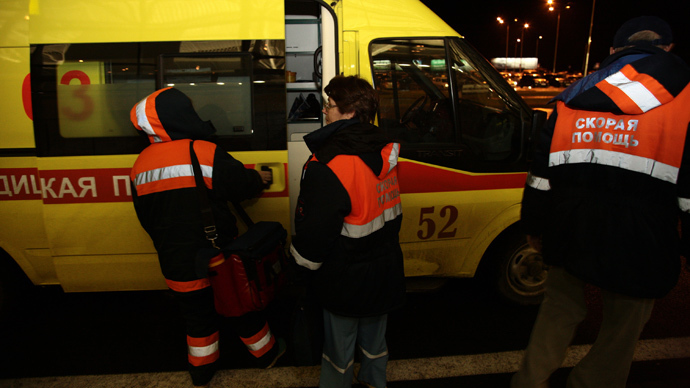 After the plane hit the ground there was an explosion," transport minister Maksim Sokolov said. As experts examined the crash scene, they reportedly confirmed that the airliner began spinning before hitting the ground. They believe the fuselage is buried four meters underground. “Practically half of the aircraft was in the ground,” Life News quoted a source as saying. This complicates the recovery operation, as the bodies of the two pilots and those who traveled in business class are underground, along with half the cabin. Parts of the fuselage, which is now in tatters, were scattered within a 2.5 kilometer radius. The plane's back was completely ruined. Pilot error, poor fuel quality, technical failure, poorly followed safety regulations, and bad weather have all been blamed - although stories of the Boeing 737-500's previous performance, its age, and other issues have begun to pop up as well. It is now up to experts to determine the circumstances and cause of the crash. The two black boxes - the flight data recorder and the cockpit recorder - have been recovered and have already been sent to Moscow for analysis. Experts have begun studying the devices, which were both found at the center of the hole created by the plane's impact with the ground, Tatarstan Airlines officials told ITAR-TASS. An official told Interfax, however, that the recorders are badly damaged. “The casing of the recovered onboard recorders has been badly damaged...but the black boxes have been passed on for decoding. Regardless of the great damage, I think we'll be able to extract some information out of them," the official said. However, the source told Life News that the black box which records crew members’ conversations has been severely damaged and the cassette has reportedly not been found yet. Transport Minister Maksim Sokolov, speaking to the Voice of Russia radio station, said earlier that “until the Investigative Committee has finished its work, all [five] theories may be valid.” He added that the possibility of a terrorist act is out of the question. Meanwhile, the investigators are preparing a list of questions for officials on the ground. Although the pilots, both in their late 40s, were reportedly very experienced at their jobs, Russia’s Investigative Committee seems set on the view that the fault lies with them. It was initially alleged that a mistake was made when carrying out a repeat circle before landing. “The plane attempted to land several times. One of the [fuel] tanks detonated while the plane was landing,” said Emergencies Ministry spokeswoman Irina Rossius. It was subsequently discovered that one of the pilots had informed the control tower that performing a go-around would be necessary, but then failed to follow the instructions dictated back to him, according to Kirill Kornishin, one of the ground crew. "[The pilot] told me he would attempt to perform another circle and I dictated the numbers to him - all according to procedure - and that was that. He confirmed the instructions, but didn't deviate from his path. 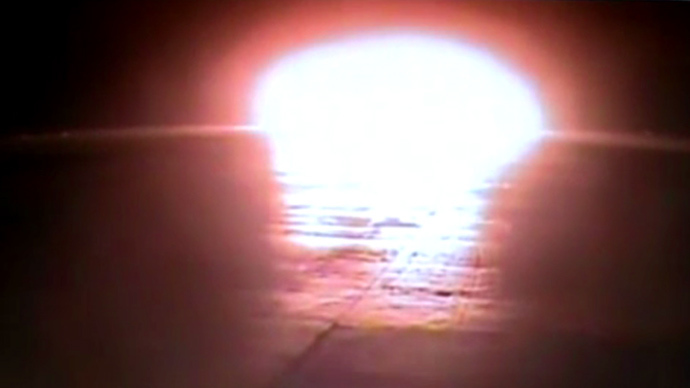 [The crash] happened mere seconds later," Kornishin told Russia 24 TV, as quoted by RIA Novosti. The exchange started with the pilots reporting issues with the configuration of the landing gear. 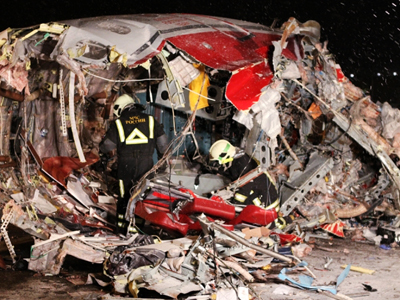 Some attribute the fatal crash to the plane’s condition. It was over 20 years old and Tatarstan Airlines had planned to take it out of service a year ago. However, the airline claims there were no known technical problems with the aircraft before it took off on Sunday. Earlier in the day, however, the same plane had flown from Kazan to Moscow, and passengers reported huge vibrations during landing. Despite all this, the latest checkup - two days before departure - had found nothing wrong. Another theory concerns questionable fuel quality. 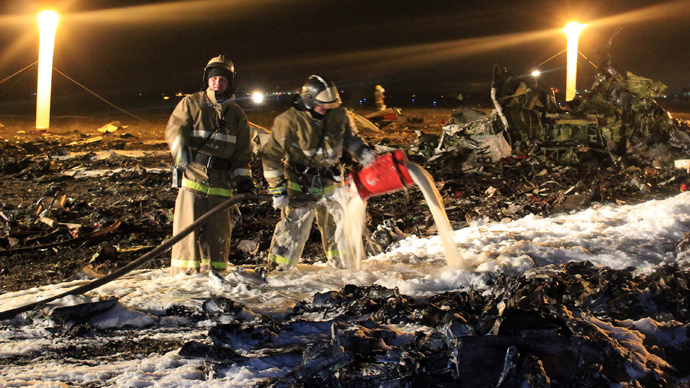 The aircraft had refueled before taking off for Kazan and authorities are currently analyzing fuel samples. No headway can be made until a team of experts has examined and decoded the information stored on the black boxes. Chief investigator Vladimir Markin told RIA Novosti that a number of other investigative measures are being carried out. These include plans for a detailed probe into how the airline handled its own safety regulations, and whether authorities tasked with supervising the airline had themselves been adequate in performing their duties. Furthermore, a little after 8:30am Moscow time, Markin also reported the discovery of a video detailing the moment of impact. "A video was found and a detailed examination of the fatal trajectory of the plane is being carried out," he said. 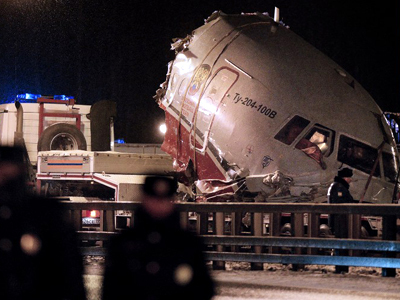 Supporting the view that all five factors discussed could have caused the fatal crash – pilot error, weather conditions, poor fuel, badly observed safety measures, and the plane’s disrepair – Michael Weiss, a civil aviation consultant who used to fly the same type of plane that crashed in Kazan, told RT that in the majority of cases, it is always a combination of factors. “All of these factors are going to be looked at...there are going to be so many things looked at, keeping in mind that accidents generally don’t happen from a single event," he said.